The pilot implementation of Saving Food in Greece will be led by Boroume, the organisation in Greece dedicated to save food. The pilot implementation of SavingFood in Hungary will be led by the Hungarian Food Bank Association (HFA), the major food redistribution actor in the country. The pilot deployment of SavingFood in the UK will be led by Feedback, a charity that campaigns to end waste at every level of the food system by catalysing food waste movements around the world. Feedback and its Gleaning Network in Belgium will lead the pilot deployment of SavingFood platform in Belgium. Food waste represents a global paradox! Whilst approximately a third of the food produced in the world each year is being wasted, at the same time nearly a billion people are unable to cover their daily needs in food. 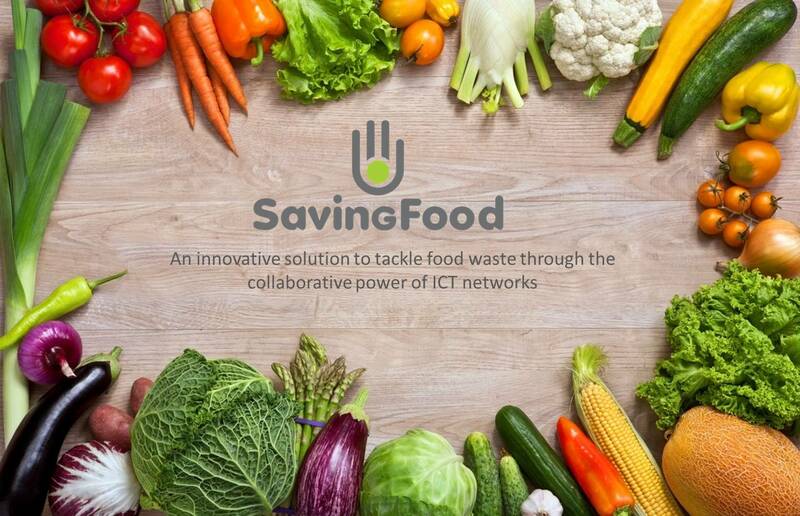 In this respect, SavingFood offers an innovative and socially responsible solution to the food waste challenge by developing an online networked community of various stakeholders that through collective awareness, knowledge sharing, motivations and incentives, will facilitate the redistribution of surplus food and leftover crops for the benefit of the vulnerable groups of our society. One Month, Three transnational SavingFood Events! The First awareness raising event in Greece in Athens on Saturday, October 14. Be there! SavingFood will be in Athens on Saturday, October 14, at 12-3pm, in view of World Food Day 2017 in the framework of “Boroume” actions and “Revitalization of the Athens Commercial Triangle”, which are joining forces and are organizing a great public awareness raising celebration at the intersection of the pavements of Vissis & Aeolou streets…. SavingFood on the «REFRESH: Community of Experts»! 5th SavingFood Project meeting in Athens and participation to Farmer’s market in Vironas, Greece. CAPS and DSI – What’s up next? SavingFood is part of the CAPS Community and a supporter of Digital Social Innovation. Let us introduce you the next events must to attend. “What next for Digital Social Innovation?”, in London, on 16th and 17th May, gathering DSI funders and practitioners from across Europe, and offering a tour of London’s most exciting DSI hubs…. Want to help us fight food waste? Participate to our online SURVEY!